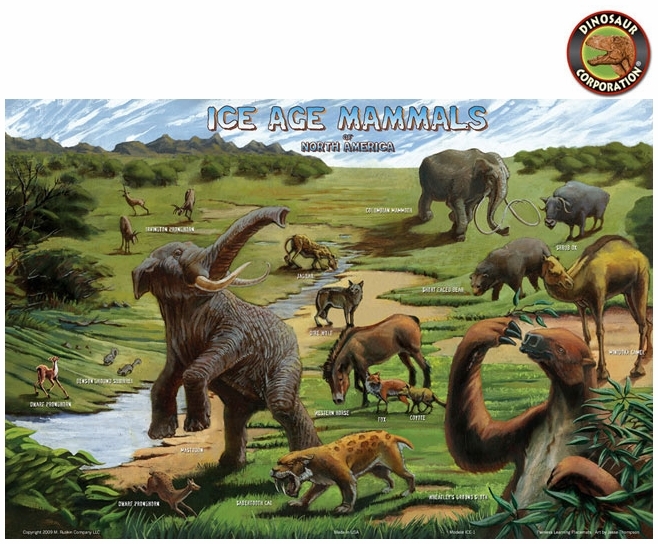 Ice Age Mammals offer the cool way for kids to enjoy their meal. It feature 17 prehistoric animals. Saber Tooth Cat, Mastodon, Columbian Mammoth, Short Faced Bear-Cave Bear, Jaguar, Dire Wolf, Fox, Coyote, Ox, Western Horse, Ground Sloth.